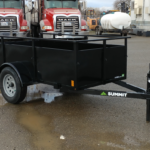 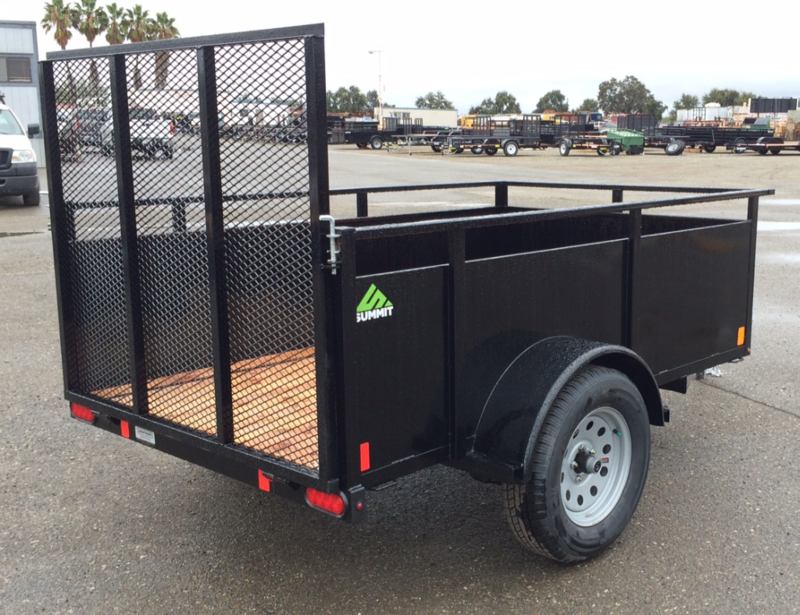 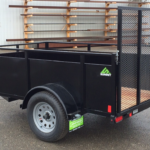 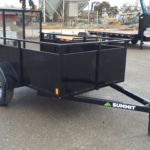 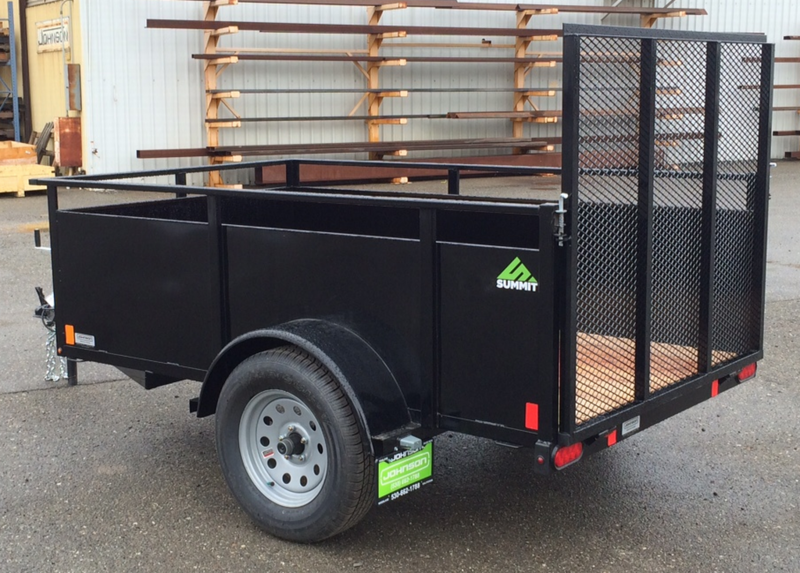 Summit Trailer’s entry level lineup of metal-sided utility trailers includes this Alpine 5×8 utility. 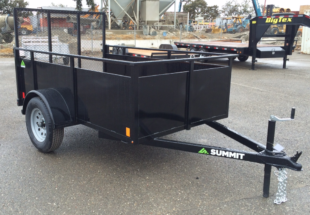 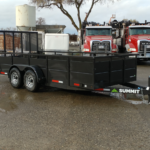 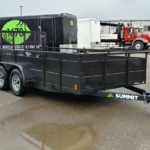 Even though it’s Summit Trailer’s lower cost line, these Alpine trailers are very well built. 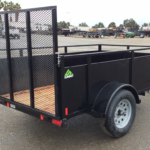 The trailer tongue is made of rectangular steel tubing – almost all other manufacturers use channel for the tongue. 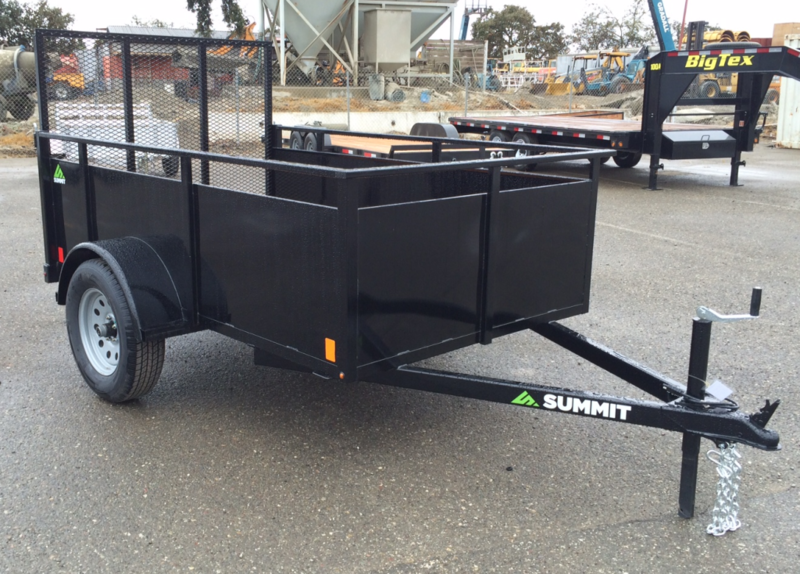 A heavy duty 3,500 lb. 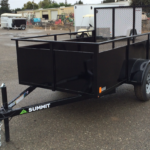 cambered axle with easy-lube hubs is more than enough to carry the payload on this trailer. 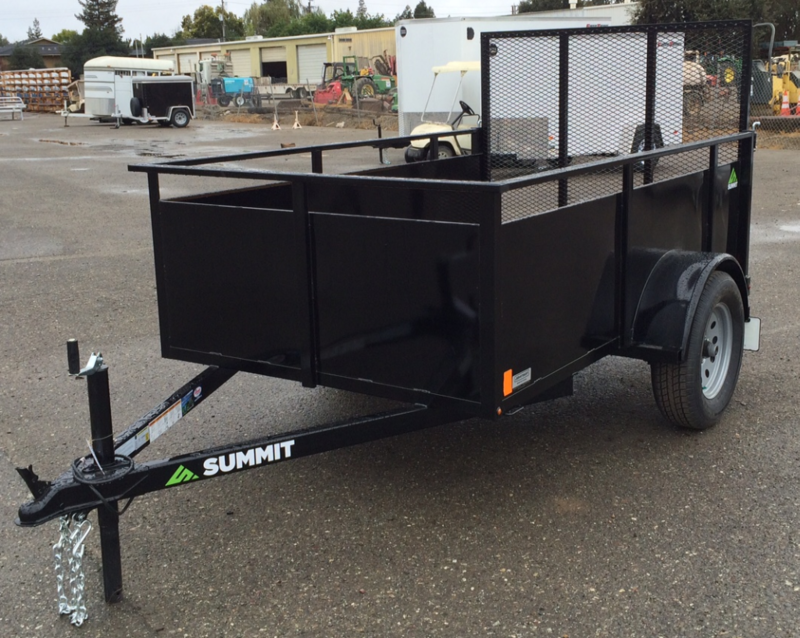 There’s also a rectangular tube top rail and a 4ft tall easy-load ramp gate.